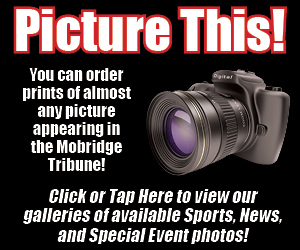 Rebecca Cox splats a cream pie in the face of librarian Kristi Moser at Mobridge-Pollock Middle School on Friday. The fun was part of the reward middle school students won for being the best readers and in celebration of Read Across American Day. Cox was one of the winners from Mrs. Brewer’s fourth-grade class. 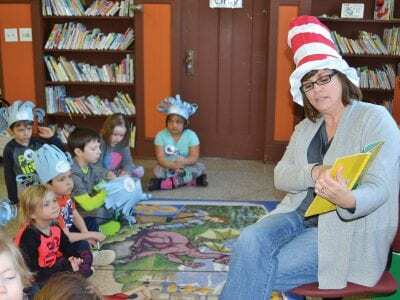 Mobridge City Administrator Christine Goldsmith reads Dr. Seuss to the children at A.H. Brown Library Friday, March 2, as part of the Read Across America celebration.